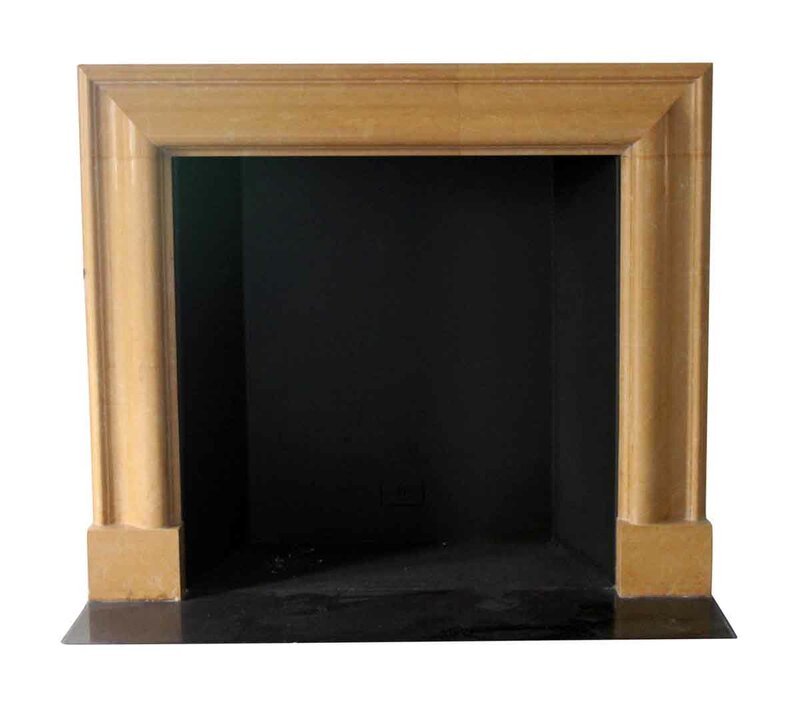 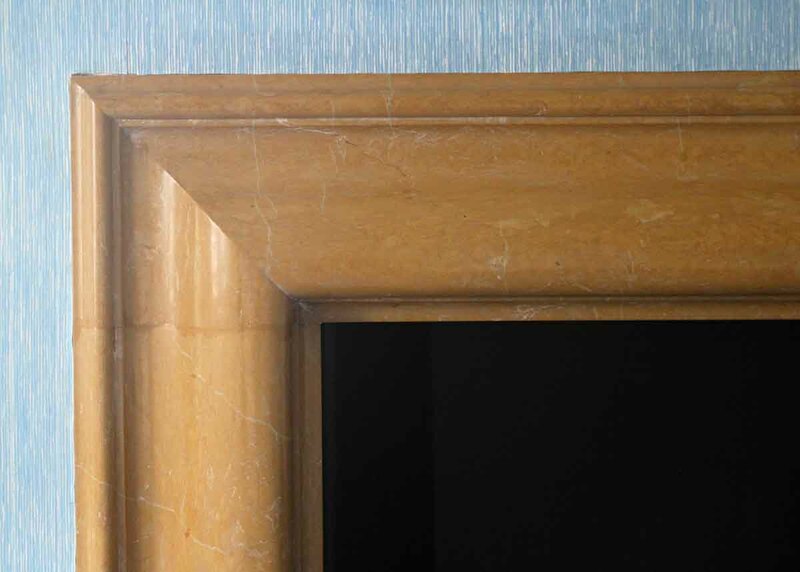 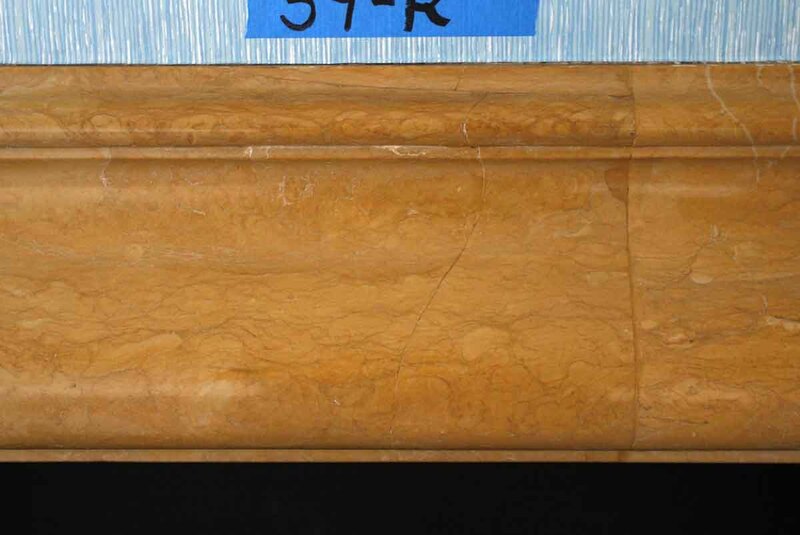 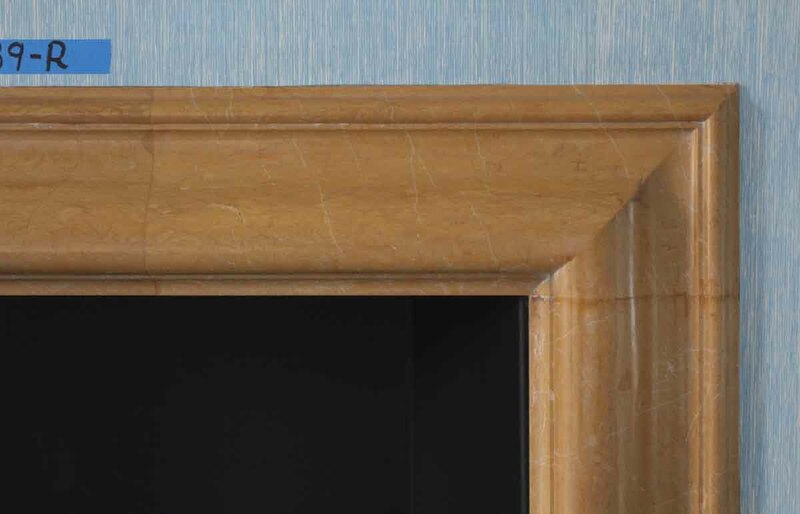 Very heavy yellow sienna bolection marble mantel. 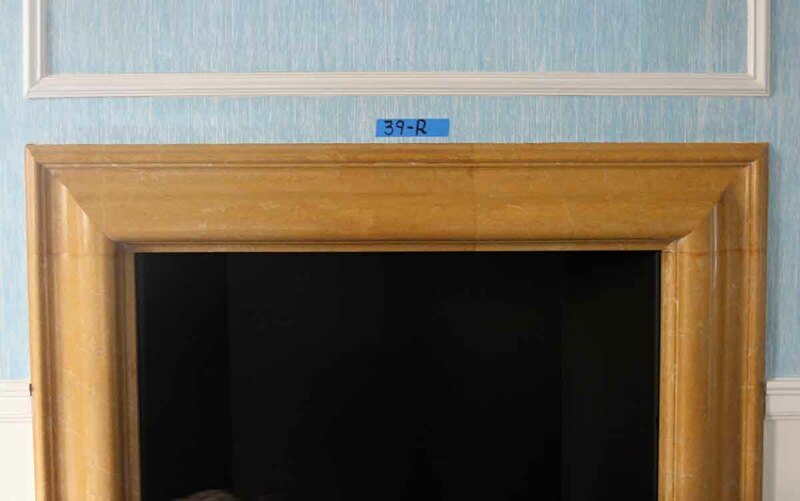 This mantel is original to room 39R. 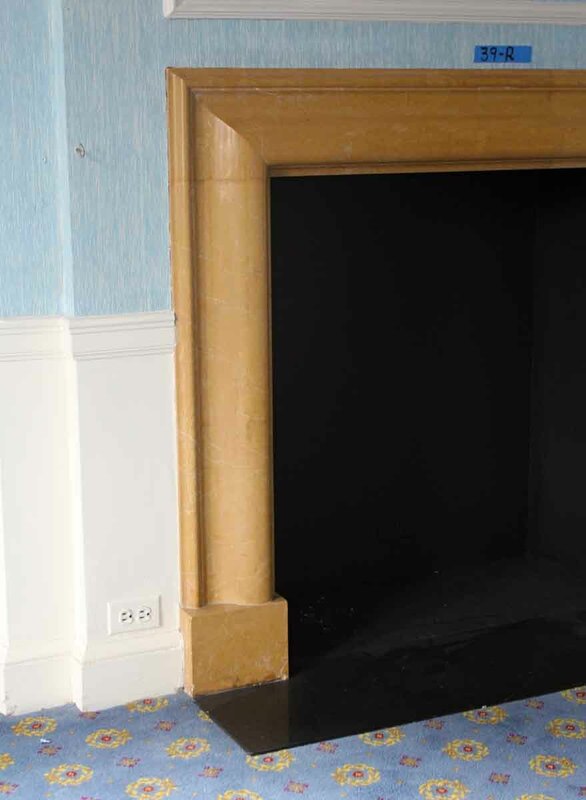 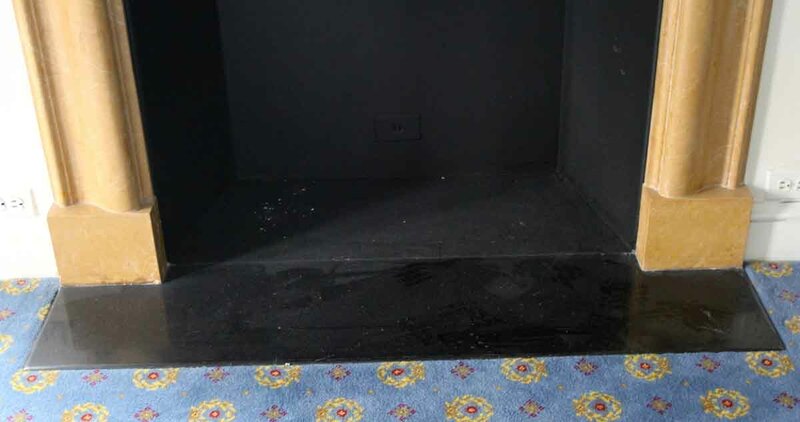 It includes the black marble hearth. 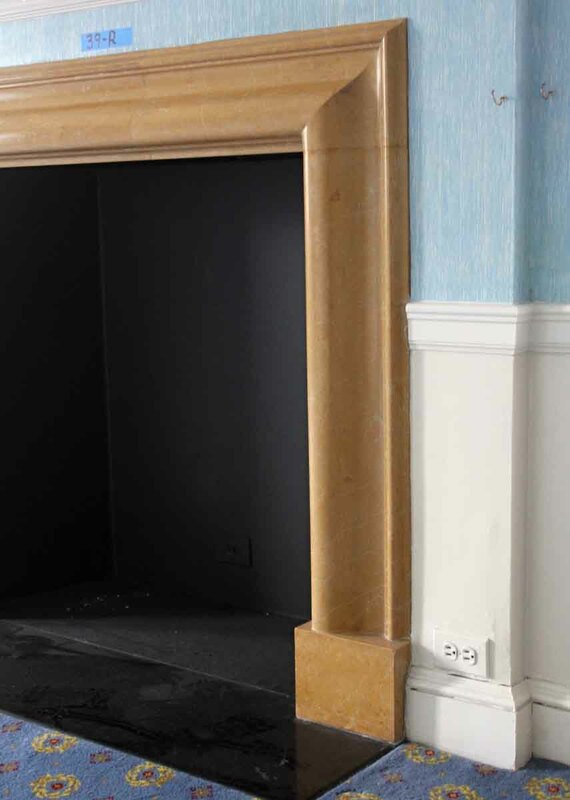 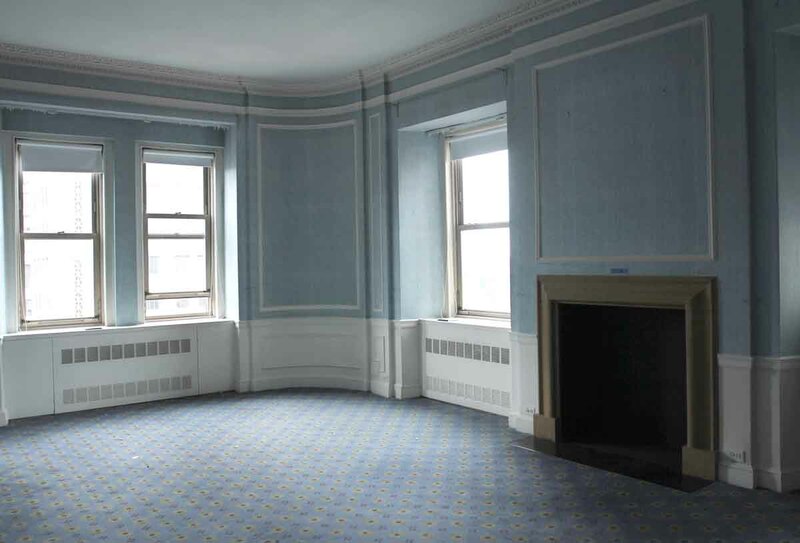 This mantel has minor damage from salvaging, please inquire for pictures.